Mrs. Gheorghe began her career in 1979, holding various positions in two Romanian companies until 1991. Between 1991 and 1993, Mrs. Gheorghe worked for the Romanian Ministry of Finance where she held the position of Deputy General Director of the International Finance Department. Since 1993, she work for the European Bank for Reconstruction and Development as an Associate and then as a Senior Banker for South Eastern Europe and the Caucasus. 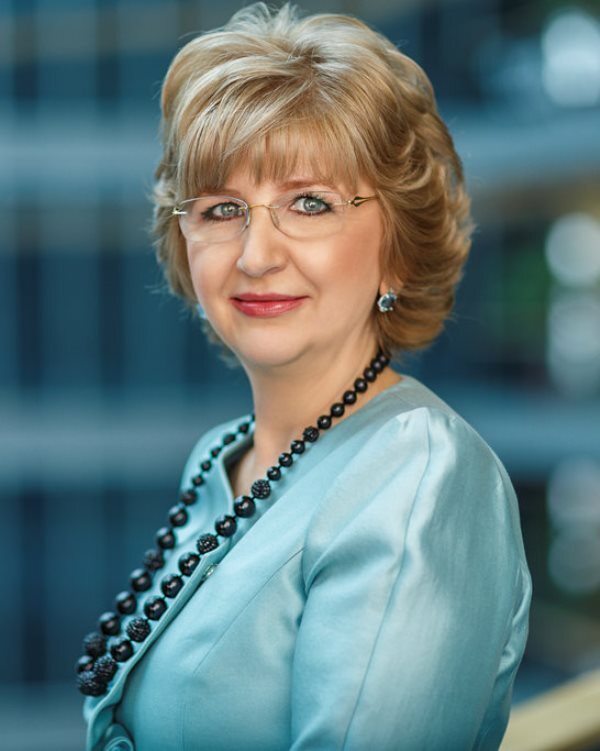 After Petrom was privatized in 2004, Mrs. Gheorghe became a Member of the Board of Directors of Petrom as EBRD representative until 2006, when she was appointed as CEO. As of 2007, she is also the President of the Executive Board. Since 2015 she is member of the Supervisory Board of ING Group and ING Bank, The Netherlands. Mrs. Gheorghe graduated from the Bucharest Academy of Economic Studies with a degree in International Relations and from the Bucharest Law School. She also holds a degree in Corporate Finance from the London Business School.